Travelling Andorra is (relatively) safe. 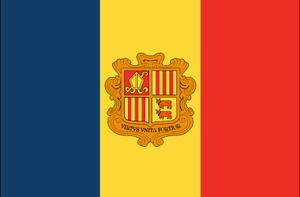 Andorra is a country in Europe (Southern Europe) with less than one million citizens and a land mass of 468 km². We detected travel advisories from 3 sources for this country. Andorra shares land borders with France and Spain. For these countries, the individual warning index is 2.6 (France) and 1.5 (Spain). See danger map of the region. Exercise normal precautions in Andorra. Read the Safety and Security section on the country information page. "iglesia San Esteban_Andorra 2004" uploaded by Sergio Rodriguez G.